“Jacob was the father of Joseph, the husband of Mary. Of her was born Jesus who is called the Christ. Such was his intention when, behold, the angel of the Lord appeared to him in a dream and said, “Joseph, son of David, do not be afraid to take Mary your wife into your home. When Joseph awoke, he did as the angel of the Lord had commanded him and took his wife into his home.” -Matthew 1:16.18-21.24a. Marcel Callo was born on December 6, 1921, in Rennes, France, being one of nine children. He was a happy child, who was known to be a leader and a perfectionist. After completing his primary studies, he became an apprentice to a printer around age 13. He belonged to the JOC (Young Christian Worker). On March 8, 1943, the war (World War II) had gripped their city of Rennes. That day his sister, Madeleine was killed by one of the bombs that leveled her building. When the Germans later occupied France, Marcel was ordered and deported to Zella-Mehlis, Germany to the S.T.O. (Service of Obligatory Work). If he did not comply, his family would be arrested, so he went. With his morale and hope restored, he cared for his deported friends. He organized a group of Christian workers who did activities together like play sports or cards. He also organized a theatrical group. He galvanized his friends despite him suffering from painful boils, headaches and infected teeth. For his French friends, he arranged a Mass to be celebrated in their native tongue. Eventually, his religious activities attracted unwanted attention from the German officials. 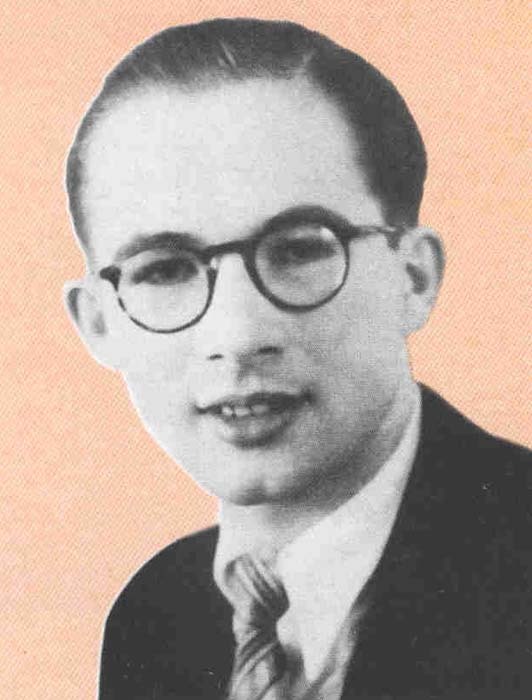 The Germans arrested Marcel on April 19, 1944. 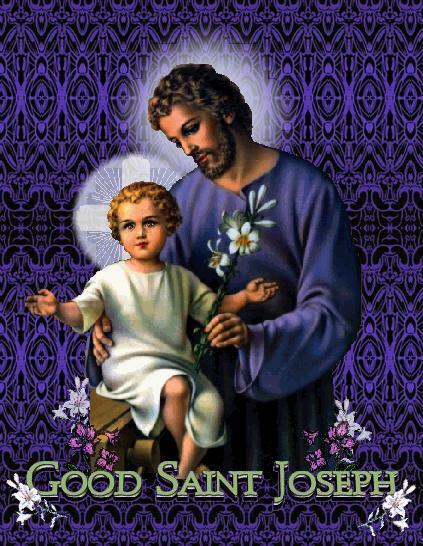 He died on the feast of St. Joseph, March 19, 1945. Pope John Paul II beatified Marcel Callo on October 4, 1987. Saint Joseph was by birth of the royal family of David, but was living in humble obscurity as a carpenter, until God raised him to the highest office ever accorded a mortal man, by choosing him to be the spouse of the Virgin Mother, the virginal father and guardian of the Incarnate Word. Joseph, says Holy Scripture, was a just man. He was innocent and pure, as became the husband of Mary; he was gentle and tender, as one worthy to be named the father of Jesus; he was prudent and a lover of silence, as became the master of the holy house; above all, he was faithful and obedient to divine calls. 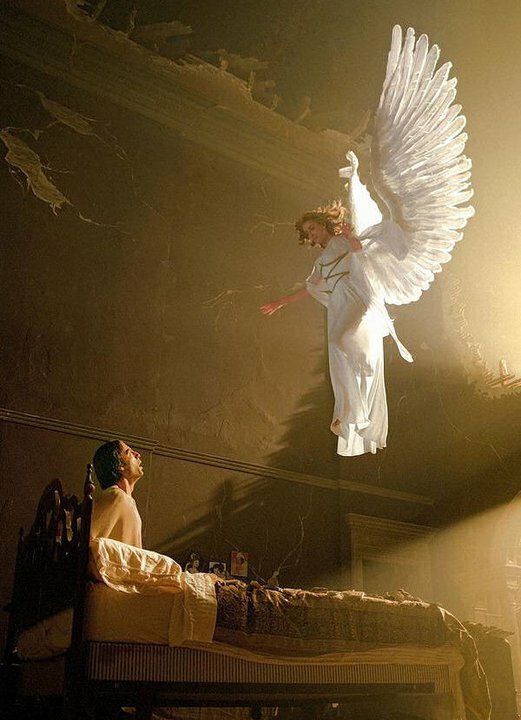 His conversation was with Angels rather than with men. When he learned that Mary bore within Her womb the Lord of heaven, he feared to take Her as his wife; but an Angel bade him put his fear aside, and all doubts vanished. When Herod sought the life of the divine Infant, an Angel told Joseph in a dream to fly with the Child and His Mother into Egypt. Joseph at once arose and obeyed. This sudden and unexpected flight must have exposed both him and his little Family to many inconveniences and sufferings; the journey with a newborn infant and a tender virgin was long, and the greater part of the way led through deserts and among strangers. Yet Saint Joseph alleges no excuses, nor inquires at what time they were to return. Saint Chrysostom observes that God treats in this way all His servants, sending them frequent trials to clear their hearts from the rust of self-love, but intermixing with afflictions, seasons of consolation. It is the opinion of the Fathers that when the Holy Family entered Egypt, at the presence of the Child Jesus all the oracles of that superstitious country were struck dumb, and the statues of their gods trembled, and in many places fell to the ground. The Fathers also attribute to this holy visit the spiritual benediction poured on that country, which made it for many ages fruitful in Saints. After the death of King Herod, of which Saint Joseph was informed in another vision, God ordered him to return with the Child and His Mother into the land of Israel, which our Saint readily accomplished. But when he arrived in Judea, hearing that Archelaus had succeeded Herod in that part of the land, and apprehensive that the son might be infected with his father’s vices, he feared to settle there, as he would otherwise probably have done, for the education of the Child. Therefore, directed by God through still another angelic visit, he retired into the dominions of Herod Antipas in Galilee, and to his former habitation in Nazareth. Saint Joseph, a strict observer of the Mosaic law, journeyed each year at the time of the Passover to Jerusalem. Our Saviour, in the twelfth year of His age, accompanied His parents. Having participated in the usual ceremonies of the feast, the parents were returning with many of their neighbors and acquaintances towards Galilee, and never doubted that Jesus was with some of the company. They traveled on for a whole day’s journey before they discovered that He was not with them. But when night came on and they could find no trace of Him among their kindred and acquaintances, they, in the deepest affliction, returned with the utmost haste to Jerusalem. We are left to imagine their tears and their efforts to find Him. After an anxious search of three days they discovered Him in the Temple, discoursing with the learned doctors of the law, and asking them such questions as aroused the admiration of all who heard Him. His Mother told Him with what grief and earnestness they had sought Him and asked, Son, why have You dealt with us in this way? Behold, Your Father and I have searched for You in great affliction of mind. The young Saviour answered, How is it that You sought Me? Did You not know that I must be about My Father’s business? In this way Jesus encourages all young persons who are called to serve God to persevere in that high vocation, whatever the cost. But we are told that although He had remained in the Temple unknown to His parents, in all other things He was obedient to them, returning with them to Nazareth, and living there in all dutiful subjection to them. As no further mention is made of Saint Joseph, he must have died before the marriage feast of Cana and the beginning of our divine Saviour’s ministry. We cannot doubt that he had the happiness of the presence of Jesus and Mary at his death, praying beside him, assisting and comforting him in his last moments; therefore he is invoked for the great grace of a happy death and the spiritual presence of Jesus in that hour.